Labelle TORQUE *is an extremely versatile lubricant and has an unlimited number of uses for threads,switch locks, atomizter connections or parts that move. Ever had a seized threads or seized switch lock? 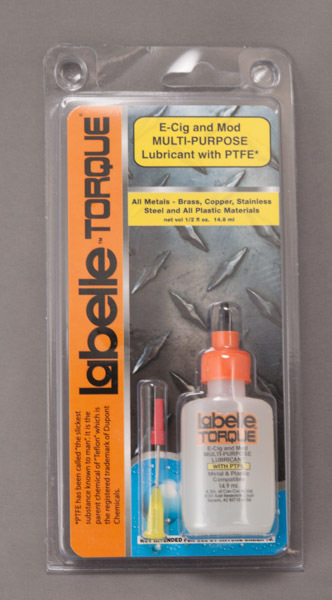 Labelle TORQUE *is a preventive lube used after cleaning to keep you from using damaging tools or chemicals to free seized parts. Apply a drop or two on thread area. Work lube into area where lube is needed. Clean and repeat as needed weekly. For an extended list of recommended uses on other devices click this link.